Share a creative project you undertook this year (art, writing, DIY, cooking, home decoration, crafts, photography … whatever comes to mind). How do you use your creativity to express yourself? This year, I've been trying to do a lot of creating. 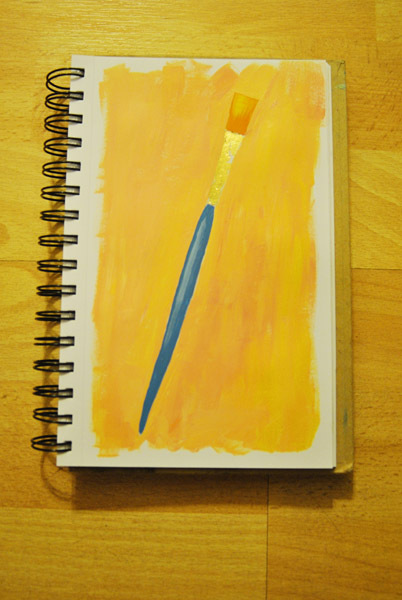 I've been drawing, taking photos, sewing, baking, turning wood, blogging, and painting. I always get spurts of creativity, but since I've been unemployed, I've been trying to make a daily habit of it. I would say that my favorite projects this year have been my photo-a-day series on the blog and the turned objects I've made with my uncle. During the photo-a-day project, I was working on getting better at a hobby of mine that's been around for a while. 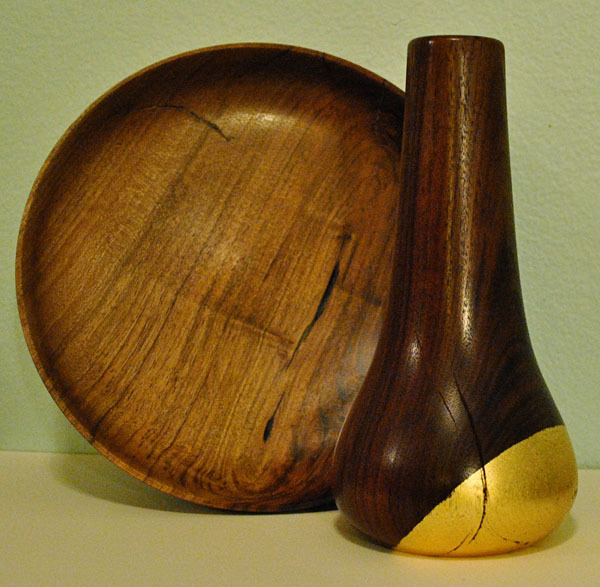 With the woodturning, I was learning something that is still very new to me, which is always fun. 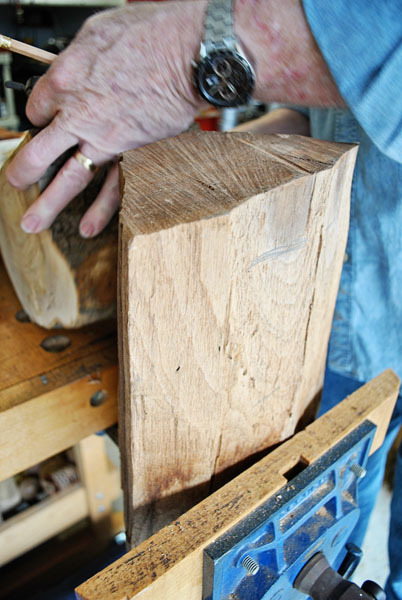 For the vase, we started out with this chunk of wood. Then there was a good bit of time that looked like this (man, my hand cramped up). 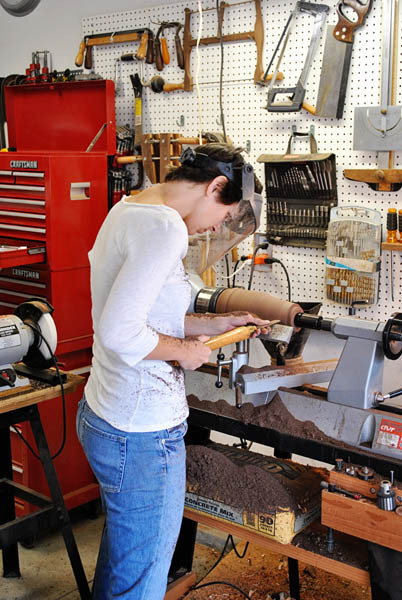 And I occasionally used the grinder to sharpen blades, whoa! I added some gold leaf and polyuerthane and ended up with this. We made the bowl earlier this year. Doing the vase was so fun, because I could actually smooth it out by myself this time (the bowl required a bit more help from my uncle) and I love gold leaf on wood. I am now looking for other things to add some shine to. I loved this prompt! I was inspired to give crocheting, scrapbooking, and photography a whirl next year. I've already signed up for a crocheting class for Jan. 22nd. I love the idea of a photo a day, too. I may just do that for a month next year and see what happens. Thanks for another great idea. So glad you're feeling inspired! Working with your hands is so satisfying. the woodwork is amazing! i always wanted to do woodwork. if only there was a shop.... keep it up!